Is there a class, workshop or a program you would like us to offer or that you would be interested in teaching? Or are you looking for a place to put on a class, event or workshop that aligns with our permaculture values and principles? Feel free to leave a comment and share your ideas. If you scroll down below our 2014 list of workshops held, there is a list of potential future classes and workshops we would be interested in offering. Listed below are the 2014 courses and workshops we ran and planned. We are in a transition this spring, so we are reviewing and considering courses for 2017 and 2018. Check in with us again soon to look for upcoming courses, or send us your email so we can send you news and upcoming events. Some classes were as short as a few hours, others as long as several days. All prices were subject to 5% GST. See below for our cancellation policy. Click on any of the workshop names to find out more about the workshop. 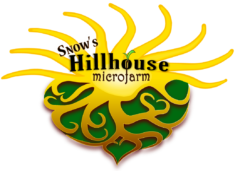 • Hillhouse Microfarm will provide a 100% refund for workshops cancelled by Hillhouse. • If a registrant cancels a workshop with more than 1 week notice, an 80% refund will be issued. • If a registrant cancels with less than 1 week notice or does not show up, no refund will be issued. • The above policies apply for pre-registered workshops. Refunds or credits will not be issued for a missed class.